Flowering: May-August. Semi-parasitic annual. Native. 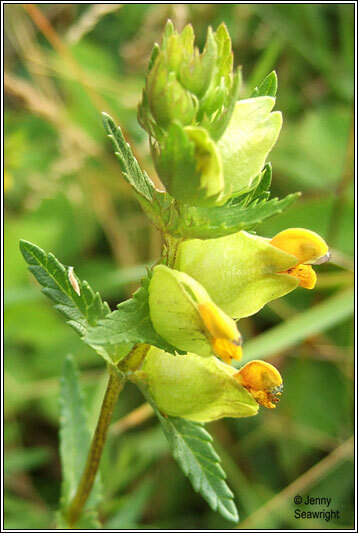 Short spike of yellow 2-lipped flowers. Upper lip sometimes with 2 short violet teeth. 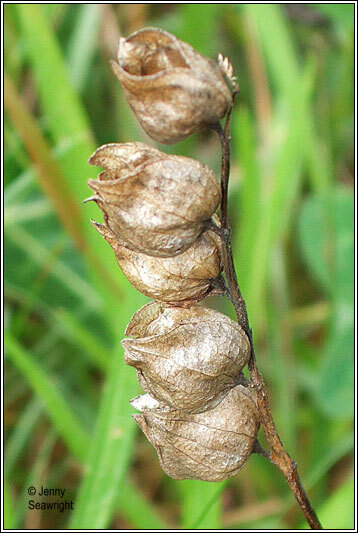 Fruit is bladder-like, flat seeds rattle when dry. Narrow toothed leaves in opposite pairs. Stem hard, sometimes blackish. 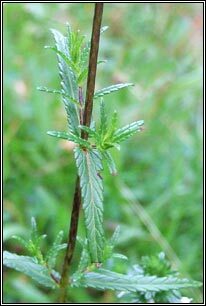 Erect, more/less hairless plant. Height: 10-30cm. Semi-parasitic. Very variable, several subspecies recognised. 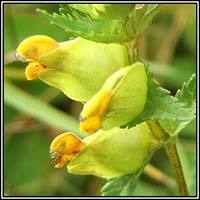 Can be abundant on semi-natural grassland and dunes, declining in some areas. 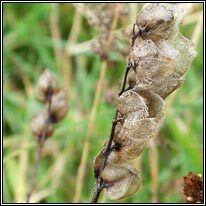 Included in many wildflower seed mixtures. 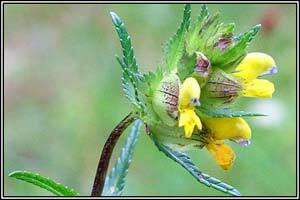 Similar: Yellow Bartsia, Parentucellia viscose. hairy. Damp arable land, moist heaths. Rare, locally frequent in SW Ireland.